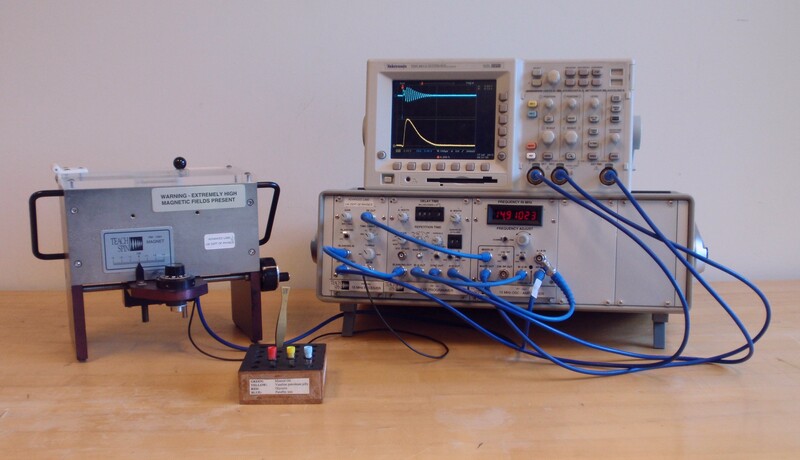 In 1994, TeachSpin introduced its first product, a pulsed NMR spectrometer, which allows physics students to easily explore the physics of nuclear magnetic resonance and learn the pulsed technique. NMR signals are characterized by two relaxation times, called T1 and T2. In soft materials and liquids, these times are often much longer than signal decay due to applied field inhomogeneity. The pulsed technique overcomes this inhomogeneity by a clever exploitation of the underlying phase coherence of the individual spins in the sample. The technique ultimately led to the development of NMR imaging in medical diagnostics and the use of NMR to study a wide variety of soft condensed matter systems. The semi-classical theory of pulsed resonance is introduced by a transformation to a rotating reference frame, coincident with the precessing nuclear spins in the material being measured. In most elementary treatments, this transformation is used only to derive the condition for the RF pulse widths on resonance. However, a deeper understanding of the spin dynamics can be learned by considering what happens when the RF frequency of the pulse is off-resonance. The same geometrical arguments yield a wider collection of easily testable predictions about the optimum pulse width and the amplitude of the resulting signal. 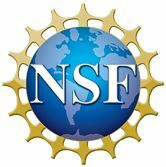 In this immersion, participants will learn the basics of pulsed NMR: pulses and the free induction decay signal, the concepts of π and π/2 pulses and spin echoes, the use of pulse sequences to measure the characteristic decay times T1 and T2, and how these decay times are related to material properties. They will then study the nature of spin dynamics in the rotating reference frame to understand how phase accumulation errors are counteracted by the Meiboom-Gill modification of the spin-echo pulse sequence, how one can measure self-diffusion in a magnetic field gradient, and how to predict and measure the nature of the free induction decay signal when the excitation RF is detuned from resonance. This immersion is intended primarily for those who already have a PS1 instrument and would like to get more out of it, or who are new to pulsed NMR and wish to learn to operate their apparatus effectively. Please note that the PS2 apparatus has some significant differences in design, so some aspects of this immersion may not work on that apparatus, mainly those concerned with off-resonance measurements. It is recommended that a prospective participant contact the mentor in case there are questions concerning the home institution’s setup and desired focus of topics. The apparatus used for this experiment is the TeachSpin PS1-A Pulsed NMR Spectrometer. Also required are a digital oscilloscope, sample vials with sample materials, and, optionally, a high-resolution pulse generator which is useful for making consistent pulse widths. Pulsed NMR is the core technique underlying magnetic resonance imaging (MRI) that has become important in medical and biological science. The physics is inherently interesting, and the method can be used to explore a wide range of condensed matter systems. The off-resonance studies help the student firm up his or her grasp of pulsed NMR theory. Participants will learn the basics of NMR physics, how to set up and control pulse sequence parameters, how to use such sequences to measure relaxation times, a variety of possible measurement tasks and samples, and how to interpret the signal produced when the RF frequency is tuned away from resonance. Theoretical topics will include semi-classical and quantum development of NMR physics, geometrical relationships that lead to the frequency dependence of optimum pulse widths, and an overview of how NMR relaxation times can be related to the power spectrum of molecular fluctuations. Discussion: Physics of NMR and NMR theory. Demonstration: A brief look at a continuous NMR apparatus; relationship between B0 field and resonant frequency. • Creating pulses and sequences on the TeachSpin Pulse Programmer module. • Tuning the spectrometer and finding the free induction decay (FID) signal. • Optimizing the pulse width; characterizing π/2, π and 3π/2 pulses. or π – π/2 sequence. • Measuring the spin dephasing or "spin-spin" relaxation time T2 using the spin-echo or π/2 – Nπ sequence. • Studying T1 and T2 in different materials. Effect of paramagnetic ions on relaxation. Effect of viscosity on relaxation. Discussion: What affects T1 and T2? What is "motional narrowing?" Seeing motional narrowing. Discussion: Introduction to Redfield theory and relationship between fluctuation power spectra and relaxation times. Experiment to confirm predictions of Redfield theory on viscous liquids. Divergence between T1 and T2 as viscosity increases. Dependence of spin echo amplitude on self-diffusion and magnetic-field gradient; experiments with low-viscosity liquids. Discussion: The rotating reference frame revisited. What is the Meiboom-Gill pulse sequence and why does it correct for phase accumulation errors? How to see this in a measurement. How do the magnetic fields transform when off resonance? Predictions of off-resonance NMR: pulse widths and FID signal amplitude versus detuning. Off-resonance spin echoes. Measurements & analysis to confirm off-resonance theory. Problems and challenges teaching NMR physics. The big-ticket items are the TeachSpin spectrometer and a digital oscilloscope. It is hoped that the participants may already have the instrument, since it has been around for a long time. However, the PS1-A/B is no longer manufactured. The PS2-A, its successor, has a different design, and although it has much greater capabilities overall, it may not be suitable for the off-resonance study in particular because its excitation and measurement circuits are shared, whereas in the PS1, the excitation and measurements circuits are distinct and can be tuned separately. Tektronix digital Oscilloscope: $1,000 (minimum estimate). David Pengra, after a short career as an electric equipment repairman and radio engineer, received his PhD in condensed matter experimental physics at the University of Washington in 1991, working under Greg Dash on the thermodynamics of low-temperature adsorbed films. He then completed two post-docs, the first with Jakob Bohr in Denmark on resonant magnetic x-ray diffraction from rare-earth crystals, and the second with Po-zen Wong at the University of Massachusetts, Amherst, on electrokinetics and fluid flow in porous media. He joined the faculty of Ohio Wesleyan University in 1996, where he continued his work in porous media and taught physics, specializing in advanced laboratory courses and electronics. 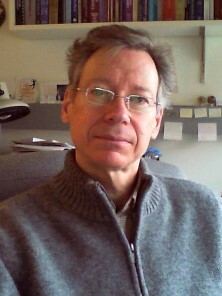 David returned to the University of Washington in 2003, where he teaches laboratory courses at all levels and manages the department's advanced teaching laboratories, which include courses in analog and digital electronics, computer interfacing, optics, condensed matter physics, atomic and molecular physics, and nuclear and particle physics. During his time at Washington, he has also been deeply involved in revising the laboratory curriculum for the introductory physics sequence. David enjoys the wide range of physics he gets to think about and teach in the laboratory courses, and he especially likes to help students learn the skills, craft and techniques of experimental physics. David B. Pengra, Senior Lecturer in Physics / Advanced Labs Manager, University of Washington, Department of Physics, Physics/Astronomy Building, Box 351560, University of Washington, Seattle, WA 98196-1560. Email: dbpengra@uw.edu. Phone: (206) 543-4783.